Spring, TX is known for its many beautiful nature parks that tourists and residents love to visit all year long. Whether you decided to come have a nice picnic on your vacation or you recently rented a home nearby, you do not have time for tooth pain that may start to haunt you. Before you panic, know that there are many quality dental options available to you here in Spring. 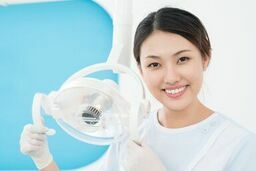 The team at Emergencydentistsusa.com has gathered and put together a list of dentists in the Spring, TX area for you. This list is comprehensive and includes all types of dentists from family dentists to general dentists all the way through to Implantologists, periodontists, and many more. You will find exactly what you need and all you have to do is take one moment to browse the list and choose the office closest to you. If you are running short on time and you need help locating a dentist, call our toll-free dentist finder hotline. Our team members will assist you in identifying a dentist to meet your needs. When you call into our hotline, we will quickly identify the specialist you need near you. We will handle all of the steps needed to schedule your appointment and provide you with directions to help you arrive on time. We do suggest that you do arrive about 15 minutes ahead of your scheduled time to fill out paperwork. You should bring your insurance card, a valid form of identification, your copayment, and a list of current medications and allergies with you too. If you find that you need a dentist in Spring, TX you will find that there are many options available to you. In fact, you can quickly identify and locate a general dentist or specialist nearby in a matter of minutes. You will find that Spring, TX has a nice selection of general dentists, orthodontists, cosmetic surgeons, and more. Patients will often find themselves in a general dentist’s office first. Your general dentist can handle most problems that may arise, but should they not be able to, they will then refer you out to the proper specialist who can help. Description: Royal Dental Associates specializes in quality dental care across Spring, TX. We know that dental problems can arise at any time and we are here to help. Our dentists will quickly and properly diagnose and treat any of your dental concerns. Our trained and caring staff will do what it takes to keep you comfortable and informed about your dental health the entire time. Description: Dr. Ly and Dr. Nguyen from Friendly Dentists want you to know that they are here for you and your family. Our office treats patients of all ages and you will enjoy your dental appointments in our calm, comfortable, and relaxing environments. All of our relationships with our patients are based on compassion, understanding, and open communication. From routine preventative care to dentures, root canal therapy, and Invisalign, we are ready to meet your every need. Description: Spring Complete Care Dentistry is committed to providing you with a healthy and beautiful smile. We offer a wide range of services from preventative oral hygiene to cosmetic dentistry. We understand that some of our patients may be afraid of their upcoming procedures and that is why we offer sedation services. From local anesthesia to a safe sedative, our team is here to assess your needs and keep you comfortable. Tooth pain is not something you want to try to deal with and if you have experienced pain for more than a couple of hours, you should seek out emergency dental care. If you were involved in an accident, it is vital that you visit the emergency room or an urgent care center to rule out any serious injuries or broken bones. Once that has been done, you should seek out care for your tooth from your dentist or a nearby emergency dentist if it is after hours. If you do place to visit a new dentist in Spring, TX you should check to make sure that their licenses and credentials are up to date. To do this, you should visit the Texas Dental Association and search the dentist’s name. You can also ask to see the credentials and licenses while in the dentist’s office or check the reception area as many dentists do hang them here.